Vocabulary is considered to be all words. Vocabulary is also the knowledge to be able to use words effectively. Receptive vocabulary "refers to vocabulary that one can understand" (Holdgreve-Resendez, 2010). Expressive Vocabulary or "productive vocabulary refers to vocabulary one can use" (Holdgreve-Resendez, 2010). "Vocabulary is related to success in a number of arenas, to perceived intelligence, to content learning, and to reading comprehension. These relationships are causal at least some of the time. For example, learning unfamiliar words that appear in a text will generally make someone a better comprehender of that text" (Ehri & Rosenthal, 2007). In other words, vocabulary helps lay the ground work for students success in education! Students use vocabulary to comprehend and understand the genre that they are reading. Lexical resources: using tools such as paper or electronic dictionaries, thesauruses, etc. "Informal reading inventories provide a pretest for prior knowledge" (McKenna & Stahl, 2009). The following assessment is from the Florida Department of Education. The department publishes this "Cool Tool" to aide teachers in assessing students! The Third Grade Vocabulary Assessment is a assessment of sight words that all third graders should be able to identify. Idioms are hard for SLLs. Words with multiple meanings can be confusing for SLLs. The following YouTube videos are produced for SLL, specifically English Language Learners (ELL). Jennifer explains idioms and vocabulary for ELL. Glass, J. (2010). Encounter with words: vocabulary instruction. Vanderbilt University: Peabody College. Loftus, S. (2010). Effects of a supplemental vocabulary intervention on the word knowledge of kindergarten students at risk for language and literacy difficulties. Learning Disabilities Research and Practice, 25(3), 124. Maynard, K. (2010). Teaching vocabulary to first grade students through repeated shared storybook reading: a comparison of rich and basic instruction to incidental exposure. Literacy Research and Instruction, 49(3), 209. Pullen, P. (2010). A tiered intervention model for early vocabulary instruction: the effects of tiered instruction for young students at risk for reading disability. Learning Disabilities Research and Practice, 25(3), 110. Ehri, L, & Rosenthal, Initials. (2007). 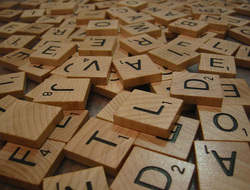 Spelling words: a neglected facilitator of vocabulary learning. Journal of Literacy Research, 39(4), 389. Florida Department of Education. (2002). Cool Tools. http://www.myfloridaeducation.com/commhome. Retrieved on November 29, 2010. Holdgreve-Resendez, R. T. (2010). Fluency and Morphology. Extracted from www.angel.msu.edu on November 17, 2010. Phonological Awareness. McKenna, M.C., & Stahl, K.A.D. (2009). Assessment for reading instruction, second edition. New York: Guilford.